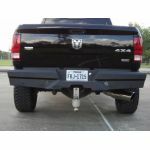 The Boss Hog Rear Bumper comes with a black powder coat finish. 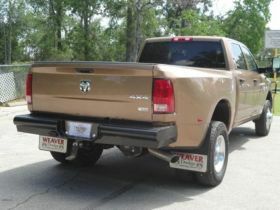 It is designed to work with the factory tow hitch. The bracketry is welded on, but it does not come with nuts, bolts, or tag lights. It comes with no warranty & there are no refunds or exchanges (sold as-is). We do stock some items here at our shop, but the majority of the parts we sell are drop shipped directly from the MFG. In cases where the MFG is out of stock It can take 2-8 weeks to have the product built. If this is the casewith your part you will be notified after your purchase has been made with an ETA. If you can not wait on the product to be built, we can put your purchase price towards something else or give you a refund. You can contact us before purchasing to check the availability on your part before purchasing. We try to provide pictures of the exact part that we sell, but in some cases they are not available & what you see is very similar to the part described.